There is no direct “configuration” on the form itself to map to a Dynamics entity, since it’s not a data driven form. Yes, you’re probably thinking PowerApps right about now. 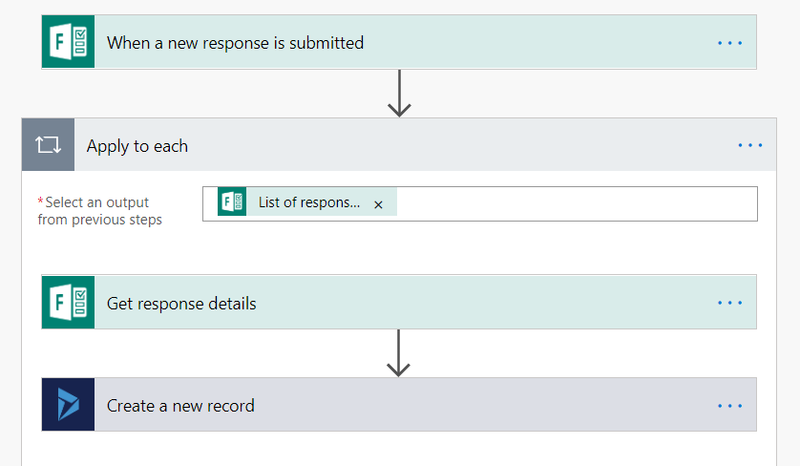 Start off with capturing from Forms the new response submitted action. You will be prompted to select the form. Next, you need to create an “Apply to each” loop. Select the output from the previous step (the only available item). 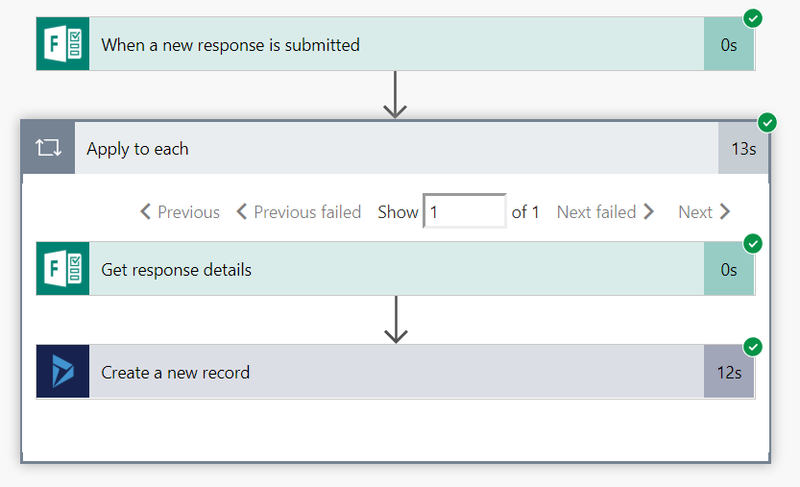 Within the loop, create a “Get response details” action. 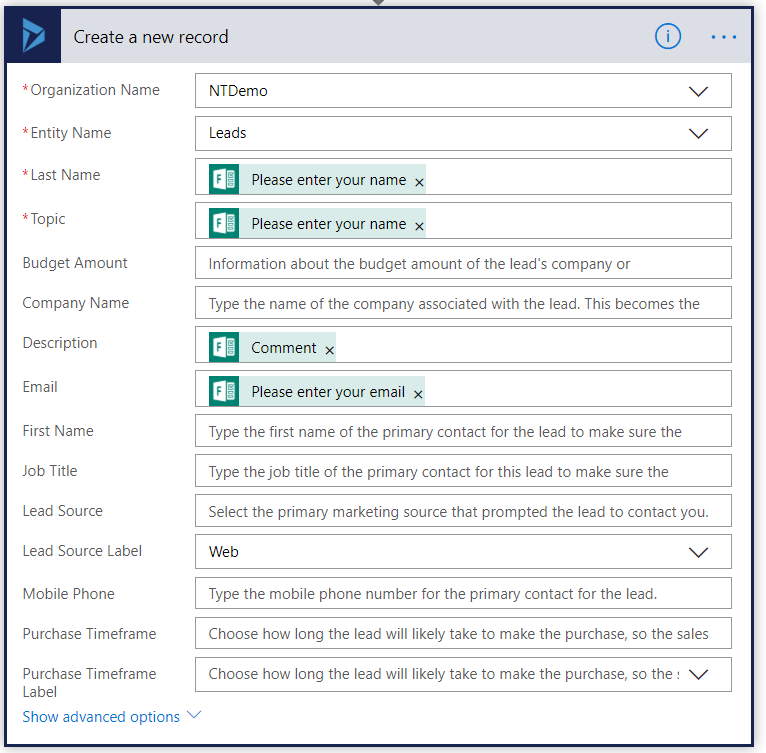 And finally, insert the data into a new Dynamics 365 record. Of course, you should probably do a better job at mapping values than the example above. Now, fill-in the form, and look at the Flow runs. You will see something along these lines if everything is successful. If you encounter any errors, go back and fix them, then re-test. Once the execution is successful, you should be able to find the newly created record in Dynamics. 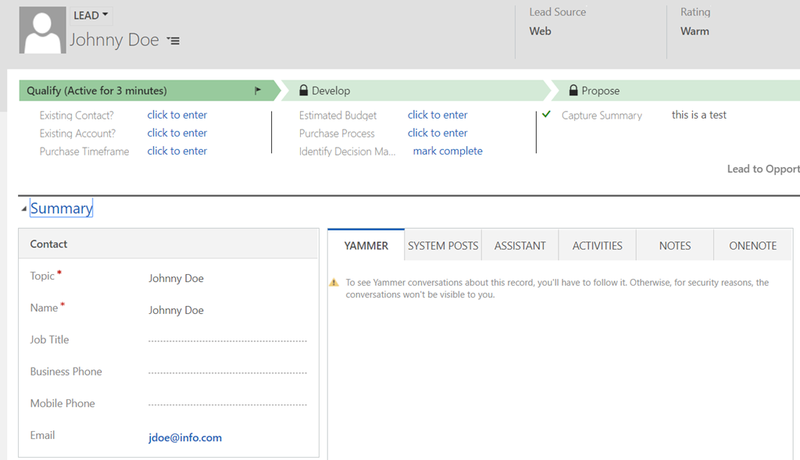 And with that, you have a form created with a few clicks, integrated to your Dynamics instance by leveraging a flow created again with only a few clicks. Have you done this before? Do you have any feedback? Leave a comment below!